Superdry women’s Urban Sport graphic top. The Urban Sport is cut to a Boyfriend fit, making this item a staple in your wardrobe this season. 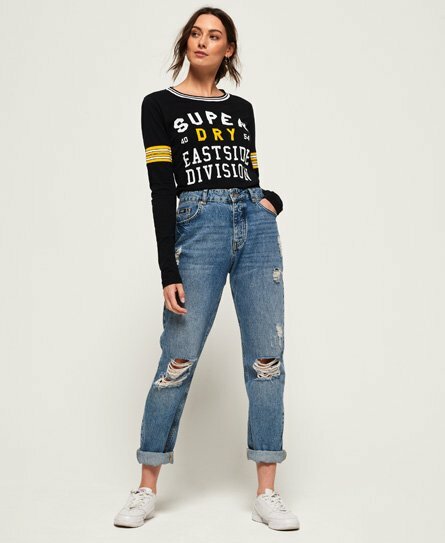 Featuring a crew neckline, a cracked Superdry logo print across the chest and elasticated ribbed panels in the sleeve with contrasting stripes. The Urban Sport has been finished with a Superdry tab on the hem. This super soft top is perfect to pair with skinny jeans and trainers.